The Wigwam Golf Resort & Spa recently celebrated its 80th anniversary as one of the Phoenix area's first full-services resorts. 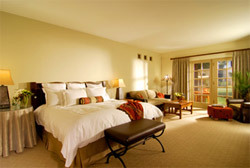 The Wigwam Golf Resort & Spa is an intimate retreat that blends casual elegance with the charm of authentic Arizona. A one-of-a-kind resort destination with a spirit all its own, the Wigwam features 331 guest casitas including 72 suites crafted from traditional territorial adobe architecture surrounded by lush landscaped walkways, fragrant citrus tree-lined enclaves and floral and rose gardens. Offering an unforgettable experience to reconnect and escape the hustle and bustle of daily life, the Wigwam is home to the only 54 holes of golf in the Southwest, a signature Red Door Spa, nine illuminated tennis courts and award winning dining. 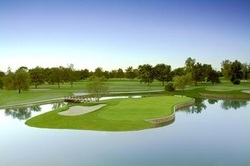 The Wigwam Golf Resort & Spa is located in Litchfield Park, Ariz. in the West Valley of greater Phoenix. From its inspiring historic setting to state-of-the-art technology to the white-glove services of a personal event specialist, The Wigwam Golf Resort & Spa has perfected the art of meetings and events. 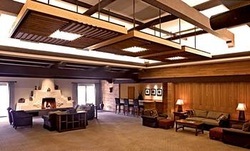 Each year, the Authentic Arizona™ resort in Phoenix's West Valley caters to more than 70,000 meeting guests. From small, high-level executive meetings to grand affairs for more than 1,000 people, The Wigwam's 43,000 square feet of sophisticated indoor and outdoor meeting and convention facilities can accommodate them all.